–fragmented implementation of the ‘Bolar’ patent exemption 3 . The European Parliament’s Resolution 4 on the Single Market Strategy endorsed the need for actions on the EU SPC regime and ‘urge[d] the Commission to introduce and implement before 2019 an SPC manufacturing waiver’, so as to boost the competitiveness of the generics and biosimilars sector, but ‘without undermining the market exclusivity granted under the SPC regime in protected markets’. This initiative delivers on the first of these abovementioned issues and, to that end, proposes an amendment to the Union’s legislation on Supplementary Protection Certificates for medicinal products, namely Regulation (EC) No 469/2009 5 . It aims to introduce a so-called manufacturing exemption for export purposes (also known as a manufacturing waiver) during the term of an SPC. This would take the form of an ‘exception’, in other words, a restriction, to the protection conferred to the certificate, which would aim at removing the competitive disadvantages EU-based manufacturers of generics and biosimilars are currently facing. It will allow them to manufacture, in the territory of a Member State during the term of an SPC, for the exclusive purpose of exporting their products to non-EU markets where patent or SPC protection has expired or never existed. The objective is to boost investment and job creation in the manufacturing of generics and biosimilars in the Union by restoring a level playing field between EU-based manufacturing and manufacturing in non-EU countries. This exception should not affect the exclusive rights of certificate holders in relation to the Union market. EU-based small and medium-sized enterprises (SMEs) in particular will benefit from the proposal, as they are often engaged in the production of generics and biosimilars. This initiative is backed by a series of studies. In addition, an inception impact assessment was published in February 2017 announcing possible legislative and non-legislative initiatives to tackle the targeted problems. Furthermore, a 12-week public consultation was launched in October 2017, which demonstrates support from a variety of stakeholders for a manufacturing waiver 6 . This consultation shows strong support for a unitary SPC title. Furthermore, while many stakeholders consider that the SPC system is fit for purpose, others believe there is a need for more clarity on how the SPC Regulation and the Bolar patent exemption are applied in practice. However, it seems appropriate first to await finalisation of the Commission’s ongoing analysis of pharmaceutical incentives 7 . In addition, any future guidance on the SPC system in general should await the outcome of currently pending SPC cases before the Court of Justice of the European Union. This legislative initiative proposes a limited exception, by means of a ‘manufacturing waiver’, to the rights that may be exercised by the holder of an SPC under Regulation (EC) No 469/2009. It is a targeted and balanced proposal aiming to remedy certain unintended consequences resulting from the SPC regime on EU-based manufacturers of generics and biosimilars, in view of the changes that the pharmaceutical industry has undergone during the last three decades. A harmonised SPC system was first introduced in 1992. It sought to compensate for the loss of effective patent protection due to the time required in order to obtain marketing authorisation (including research and clinical trials). The period of effective protection under the patent was recognised as insufficient to cover investment in research, thereby penalising pharmaceutical research. By providing for a period of supplementary protection which, depending on the circumstances of a particular case, could be granted for a period ranging from one day to a maximum of five years, the Regulation therefore aimed to provide the pharmaceutical industry with sufficient incentives to innovate and to promote, within the Union, the investment in research and innovation needed to develop medicinal products and to prevent the relocation of pharmaceutical research outside the Union. Reliance on SPC protection is significant and increasing 8 . At the same time however, EU and global pharmaceutical markets are undergoing profound changes. Global demand for medicines has increased massively (reaching EUR 1.1 trillion in 2017). Alongside this, there is a shift towards an ever-greater market share for generics and biosimilars. Assuming an annual growth rate of 6.9%, by 2020 generics and biosimilars will represent 80% of all medicines by volume, and about 28% by value. With regard to ‘innovative’ medicines, biologics – in other words, the original medicines to which biosimilars relate – are projected to account for a quarter of the pharmaceutical market by value by 2022. It has been estimated that, with the expiry of industrial property protection, over EUR 90 billion of the first generation of blockbuster biologics will become open to biosimilar competition by 2020. This will create huge additional opportunities for growth and jobs 9 . Traditionally, the EU has been a hub for pharmaceutical research and development (R&D) and production. Biosimilar production, for instance, started in 2006 in the EU, in other words much earlier than elsewhere, and given its excellent ecosystem for this type of production, the EU became a world leader in biosimilar development 10 . However, its competitive position is under threat today. While Europe’s trading partners are increasingly involved in the manufacturing of generics and biosimilars, EU-based manufacturers 11 of generics and/or biosimilars face a significant problem: during the SPC period of protection of the product in the EU, they cannot manufacture for any purpose, including export outside the EU to countries where SPC protection has expired or does not exist, while manufacturers based in those non-EU countries can do so 12 . This problem puts EU-based industry at a disadvantage vis-à-vis manufacturers located outside the EU, not only in global markets, but also in day-1 EU markets. This is because the certificate makes it more difficult for EU manufacturers to enter the EU market immediately after its expiry, given that they are not in a position to build up production capacity until the protection provided by the certificate has lapsed. The same is not true of manufacturers located in non-EU countries where protection does not exist or has expired. The problem is aggravated by the dynamics of the generics/biosimilars markets whereby, after expiry of patent/SPC protection of the reference medicine, only the first few generics/biosimilars to enter the market capture a significant market share and are financially viable. There is an urgent need to tackle this specific twofold problem, as the markets for generics and biosimilars are highly competitive and steadily growing, with a significant number of medicinal products entering the public domain – i.e. with the patents or the SPC coming to the end of their term – in the coming years. This development will generate significant new market opportunities for generics, and for biosimilars in particular. Unless action is taken now, Europe risks missing the opportunities offered by this upcoming ‘patent cliff’, as the above unintended aspects of the current SPC regime act as a disincentive for companies willing to invest in the new generics and biosimilars opportunities. If the current legal barrier in Europe is maintained, companies wanting to produce generics or biosimilars might start to manufacture outside the Union. The EU’s ‘pioneering’ competitive advantage in the biosimilar sector might thus be lost and huge business opportunities foregone, in particular as international trading partners are quickly catching up 13 . To address the aforementioned problems, the proposal aims to introduce a manufacturing waiver for export purposes. This waiver will remove the competitive disadvantages EU-based manufacturers of generics and biosimilars are currently facing. It will allow them to manufacture during the term of SPCs for the exclusive purpose of exporting their products to non-EU markets where protection does not exist or has expired. This will also address, to a certain extent, the EU day-1 entry issue: a manufacturer having set up a manufacturing line for export purposes will easily be able, after SPC expiry, to use the same line to manufacture generics or biosimilars with a view to swiftly supplying the EU market. Obviously, these manufacturers would have to comply fully with the applicable pharmaceutical legislation and, for instance, possess a valid marketing authorisation at the time the products are placed on the EU market. The proposal should contribute to Europe’s competitiveness as a hub for pharmaceutical R&D and manufacturing. It will help new pharmaceutical companies start up and scale up in high growth areas, and is projected to generate, over the next 10 years, additional net annual export sales of well in excess of EUR 1 billion, which could translate into 20 000 to 25 000 new jobs over that period. This is a conservative estimate, as it is calculated on the basis of a sample representing about one third of innovative medicines 14 . As the manufacturing capacity established for export purposes can, prior to the expiry of the certificate, be used with a view to supplying the EU market from day-1, it is also expected to boost, to some extent, access to medicines in the Union by enabling generic and biosimilar medicines to enter the market more quickly after the lapse of certificates, thus ensuring the availability of a wider choice of affordable medicines once the period of patent and SPC protection is over. This should have a positive effect on national health budgets. This proposal will prove beneficial for firms that currently manufacture generics and biosimilars in Europe. Over time, it will benefit the entire pharmaceutical sector in the Union, by allowing all players, including newcomers, to reap the benefits of the new opportunities opening up in the fast-changing pharmaceutical market in Europe, and by strengthening the pharmaceutical supply chain and ecosystem. It is of course equally important to ensure that the Union remains an attractive place for those that produce original medicines in Europe, and those that conduct research related to these products. Two points are worth highlighting in this context: First, this proposal leaves SPC protection fully intact as regards placing products on the EU market. SPC holders will keep their market exclusivity in Member States during the full SPC protection term. The proposal will foster competition in non-EU markets where protection does not exist or has expired, but where manufacturers of generics and biosimilars established in the EU would in future be able to compete on an equal footing with manufacturers based in those non-EU countries. Second, the proposal is accompanied by a series of safeguards to ensure transparency and avoid the possible diversion onto the Union market of generics and biosimilars in respect of which the original product is protected by an SPC. Businesses intending to start manufacturing for export purposes will be under an obligation to notify the competent authorities, and the information contained in that notification will be made public. They will also have to comply with due diligence requirements, chiefly to prevent goods manufactured for export from being diverted onto the Union market. Finally, any export of SPC-protected products outside the Union will be subject to compliance with specific labelling requirements, though any burden stemming from this will be outweighed by the benefits arising from the exception. The combined effect of these safeguard measures will create transparency and prevent Intellectual Property (IP)-infringing products from entering Member State markets. It will make it easier for both SPC holders and public authorities to detect and fight such infringements, via the existing means of judicial redress offered under existing Intellectual Property Rights (IPR) enforcement legislation (notably through injunctions) or other control mechanisms such as market surveillance and customs control 15 . The proposal is consistent with existing international trade agreements, such as the Agreement on Trade-Related Aspects of Intellectual Property Rights (TRIPS) between members of the World Trade Organization, as well as those free-trade agreements that the EU has concluded with non-EU countries and that include supplementary protection-like provisions. It thus complements the Union’s overall trade policy approach. The proposal does not affect Directives 2001/83/EC 16 and 2001/82/EC 17 which lay down harmonised conditions for industrially manufactured medicinal products for human and veterinary use, in particular the requirements related to the manufacturing authorisation of medicinal products manufactured for export. All rights and remedies under Union legislation that currently apply to the enforcement of intellectual property rights in the Union (Directive 2004/48/EC 18 and Regulation (EU) No 608/2013 19 ) would continue to apply to any product covered by the certificate where any act carried out in relation to that product does not fall within the scope of the exception; these rights and remedies would also apply to any product made pursuant to the exception but illicitly diverted onto the Union market during the term of the certificate. The Commission sees the protection of intellectual property as a key driver for promoting innovation and creativity, which in turn generate jobs and improve competitiveness worldwide. This is especially relevant for industry sectors whose products are subject to regulated market authorisations, such as the pharmaceutical industry. As mentioned above, the proposal does not affect in any way the market exclusivity that SPC holders enjoy in the internal market during the SPC term. SMEs are playing an increasing role throughout the value chain of the pharmaceutical industry, including the manufacturing of generics and development of biosimilars. Such SMEs can take special advantage of this proposal, since they have more difficulty starting up and scaling up and cannot easily relocate production. Therefore, the proposal includes transparency and anti-diversion measures, which have been carefully calibrated to avoid any undue and disproportionate administrative burdens or costs for SMEs 20 and on business in general. As mentioned above, the proposal complements EU trade policy. It is not a protective measure, as it only seeks to level the playing field between EU and non-EU manufacturers of generics and biosimilars. It complements the efforts of the Union’s trade policy to ensure free and fair trade, characterized by open markets, for Union-based manufacturers. It is in line with the competition policy pursued by the Commission in relation to the entry of generics directly after loss of market exclusivity (e.g. after SPC protection expires), as reflected in the Commission’s 2009 Communication on the pharmaceutical sector inquiry 21 and in subsequent competition enforcement decisions 22 . As already noted, a manufacturer having set up a manufacturing line for export purposes will be able, after SPC expiry, to use the same line to manufacture generics or biosimilars with a view to swiftly supplying the EU market. The proposal will, to some extent, make medicines more accessible to EU patients, especially in those Member States in which access to some reference medicines (e.g. certain biologics) is difficult, by creating the conditions to help related generics and biosimilars gain more rapid entry into the Union market once the relevant certificates have lapsed. It will also diversify the geographical origin of medicines available in the EU, thus strengthening the supply chain and security of supply. The sole legal basis for the proposal – as for Regulation (EC) No 469/2009, the legislative act being amended – is Article 114 of the Treaty on the Functioning of the European Union. This Article confers on the EU the competence to adopt measures on the establishment and functioning of the internal market. Where an act such as Regulation (EC) No 469/2009 has already removed the obstacles to trade in the area by harmonising the rules related to SPCs, the Union is entitled to adapt that act to any change in circumstances or developments in the relevant sector. In addition, although the proposal is aimed at the market conditions that apply in non-EU markets, the actual manufacture under the exception will take place in the Union, albeit exclusively for the purpose of export to non-EU markets. The proposal consists of an exception from the subject matter of protection of the certificate, set out in Article 4 of Regulation (EC) No 469/2009. When a certificate takes effect, the SPC confers the same rights as conferred by the basic patent and is subject to the same limitations and obligations. Only the Union can amend Regulation (EC) No 469/2009. While a Member State could indirectly change the effects of SPC protection in its jurisdiction by changing the effects of its national patents 23 , those changes might take different forms from one Member State to another, resulting in a distortion of the internal market for products protected by an SPC. Therefore, only a proposal at EU level to amend Regulation (EC) No 469/2009 would prevent a heterogeneous development of national rules and practices which directly affect the functioning of the internal market. The proposal aims to exempt from infringement of an SPC all the necessary acts related to manufacturing for export purposes, which include upstream acts (e.g. supply of intermediary products and active ingredients) and downstream acts (transport, storing, packaging, sorting and the actual export). As these acts may be undertaken in different Member States where an SPC is in force, an effective solution requires action at EU level. Some voluntary agreements between generics/biosimilar manufacturers and originators have been concluded at national level to facilitate entry onto the market of generics/biosimilars. However, these did not properly address the objective of creating a level playing field for generics/biosimilar manufacturers across the whole of the EU territory, nor did they address the issue of export to non-EU countries. In general, as reflected in submissions to the public consultation, these agreements are not considered successful and cannot therefore deal adequately with the challenges and objectives described in the problem definition. The proposal has been designed to minimise the detrimental impact on SPC holders and the administrative burden and compliance costs for generics/biosimilars manufacturers, while ensuring equal treatment throughout the Union. The proposal does not go beyond what it is necessary to tackle the identified problem. It removes the barriers to the manufacture of generics and biosimilars in the Union for export. The proposal is accompanied by non-cumbersome and inexpensive 24 measures in relation to transparency and anti-diversion requirements, with a view to discouraging acts that would interfere with the exclusivity that the SPC holder would continue to enjoy in the Union. These measures would also facilitate enforcement against such acts. The proposed Regulation will apply only to SPCs granted after its date of application, and thus will not apply to any SPCs that have already been granted before that date. In this way, this Regulation will not affect acquired property rights and the legitimate expectations of holders of SPCs that have already been granted before the date of application of the Regulation. This will provide clarity and legal certainty for all concerned. In addition, for certain SPCs already granted, the holders may have made additional investment decisions from the very outset (i.e. as and from the date of grant). The new rules will also apply to applications for SPCs submitted to the competent authority under Regulation (EC) No 469/2009, which remain pending on the date on which this proposed Regulation enters into application. However, an appropriate transitional period will apply to them. In respect of the exception, a legislative solution is the only effective approach. The proposed exception would be implemented by amending existing provisions of Regulation (EC) No 469/2009. Therefore, a Regulation rather than a Directive is the appropriate instrument. The proposal is not presented as part of a general review of Regulation (EC) No 469/2009. Rather, it is a targeted amendment to that Regulation and aims only to tackle the specific problem identified. In connection with the proposal, albeit not exclusively in that context, the Commission contracted a number of independent studies to assess the legal and economic aspects of the SPC system, along with the implementation aspects of the SPC Regulation. It has published the findings from these studies 25 . The Commission has also analysed the economic aspects of the SPC system in the EU (collection and processing of statistics, links with direct foreign investment in the pharmaceutical sector, etc.). An in-house analysis of the SPC regime in the EU was published in May 2017 26 . Pharmaceutical companies have contracted several studies analysing the economic impact of the proposal, which the Commission has looked at carefully as well. In the impact assessment, all of these studies (contracted by the Commission and pharmaceutical companies alike) have been analysed and their results carefully compared with one another, as a basis for assessing the possible effects of the proposal on jobs and growth in Europe. The SPC regime as a whole is being looked at in the context of the wider pharmaceutical incentives analysis requested by the Council in 2016 27 . Some of the studies mentioned above will feed into that exercise. The Commission also published a roadmap 28 on the upcoming evaluation of the orphan and pediatric medicines legislation in 2018-2019. The Commission held an online public consultation 29 between 12 October 2017 and 4 January 2018 on the SPC-related issued addressed in the Single Market Strategy and in the subsequent inception impact assessment of the EU SPC and the Bolar patent exemption. The consultation included specific questions addressed to six categories of stakeholders: citizens, generics companies/associations, originator companies/associations, patent practitioners/authorities, health authorities/patient groups and trade/industry authorities. Some questions addressed SME-specific aspects. Generics/biosimilars manufacturers submitted 63 replies 30 . These were from individual companies – 13 of them SMEs – as well as international, European and national associations. They confirmed the problems identified in the inception impact assessment and the need, in their view, for a manufacturing waiver, as they consider that a) the current SPC regime puts them at a disadvantage compared with manufacturers based in countries without SPCs or with shorter terms; b) introducing a waiver in the Union would increase their sales outside the Union; and c) were a waiver put in place, they would increase their manufacturing in the EU. Patient groups and health authorities also agreed with the problems identified. 72 respondents representing the interests of SPC holders (including 3 SMEs and 2 European associations representing SMEs) participated in the consultation: most of them opposed a waiver. In particular, they consider that a) the current SPC framework does not put EU-based generics/biosimilars manufacturers at a disadvantage vis-à-vis foreign-based manufacturers; b) introducing a waiver would erode intellectual property rights (IPR) protection and send a negative message to innovators and investors, thus reducing R&D investment in the Union; and c) a waiver would reduce their sales outside the EU. In addition, in its study into the legal aspects of SPCs for the Commission, the Max Planck Institute conducted a detailed consultation among pharmaceutical companies on the aspects related to the feasibility of an SPC manufacturing waiver, as well as preferred features for its implementation (e.g. possible and preferred transparency and anti-diversion measures accompanying a waiver). The inputs provided in consultations and in meetings with industry were used to design and enhance the transparency/anti-diversion measures of the proposal. As indicated above, the Max Planck Institute surveyed stakeholders on several aspects related to the concept of an SPC waiver. In addition, it organised three workshops for experts and representatives from industry, academia, the Commission, national patent offices, judges and industrial property practitioners. The Commission also participated in a number of workshops organised by several sectors of the pharmaceutical industry (notably EuropaBio, EUCOPE, Medicines for Europe) in the context of the preparation of the proposal and the Commission’s ongoing analysis of the pharmaceutical incentives. The proposal is accompanied by an impact assessment, which is consistent with the Opinion of the Regulatory Scrutiny Board delivered on 9 March 2018 31 . The impact assessment looked at the issues raised by the existing EU regime concerning SPCs. While the benefits of an SPC for its holder are significant, the SPC system, on foot of significant changes in pharmaceutical markets, is now having unintended side effects on the competitiveness of EU-based manufacturers of generics and/or biosimilars. Firstly, during the SPC term, they cannot manufacture with a view to exporting generics and biosimilars to non-EU countries where protection does not exist or has expired. Secondly, upon SPC expiry, they are not ready to place generics and biosimilars on the EU market. They thus forego significant export opportunities and crucial lead-time to enter the market in Member States. This stimulates a delocalisation of manufacturing of generics and biosimilars outside the Union, at a time when new opportunities are opening up (i.e. due to the patent cliff from 2020 onwards), and is having a negative impact on jobs, on patients (notably increased dependency and high prices) and research for biosimilars. –amending the EU SPC legislation, so as to allow EU-based manufacturers of generics and biosimilars, during the SPC term of the reference medicine, to manufacture for export and/or stockpiling purposes, possibly with anti-diversion measures. In addition to the key options presented above, different scenarios on the ‘time-bound applicability’ of the manufacturing waiver were analysed: SPC not yet applied for; SPC applied for; SPC granted but not yet in effect since the basic patent is still in force; and SPC in effect (i.e. after the basic patent has expired). –it makes the aforementioned exception subject to the following conditions: the exception will apply only to SPCs that have not yet been granted, and only after a transitional period to accommodate pending applications. This transition will allow market players to take account of the new situation when making investment decisions. It will also give national authorities enough time to set up their arrangements for receiving notifications of the intention to make use of the manufacturing waiver. The preferred option boosts the competitiveness of EU-based generics and biosimilars manufacturers in respect of exports during the SPC term (and, indirectly, favours their timely entry onto the EU market upon SPC expiry). As mentioned above, this is expected to result in net additional sales of EU-made pharmaceuticals of up to EUR 1 billion per year. This figure is calculated on the basis of a limited sample covering only 32% of the relevant market, so the actual benefit could well be much greater. The positive knock-on effects will be job creation, estimated around 20 000 to 25 000 direct jobs, based on the same limited sample, and fewer relocations. The preferred option may cause a slight drop in the sales of products of SPC holders on export markets, due to the increased competition they would face from EU-based generics and biosimilars manufacturers during the SPC term in such ‘non-SPC’ non-EU countries. This possible erosion of sales is estimated to be around 10 times lower than the estimated benefits for EU-based generics and biosimilars manufacturers, and might occur in any event, due to increasing competition from outside the Union 32 . In addition, robust safeguards are foreseen, limiting the scope for diverting SPC-infringing products onto the EU market during the period of exclusivity. The proposal would also be beneficial for the dynamism of the whole EU pharmaceutical industrial ecosystem, as many SPC holders have outsourced branches of their activities to non-EU countries, where these branches then develop generics and biosimilars. The proposal has been carefully calibrated to avoid any undue and disproportionate administrative burdens or costs for SMEs, particularly as regards the transparency and anti-diversion measures 33 . EU patients and health authorities would benefit from a strengthened and more timely supply of medicines (e.g. in terms of diversification of the supply). An earlier Commission Staff Working Document 34 revealed that while in the 1980s more than 80% of active pharmaceutical ingredients (APIs) destined for the EU market were of European origin, by 2008 that figure had decreased to 20%. A significant majority of citizens who responded to the public consultation – 32 out of 43 submissions – indicated that they care about the origin of production of the medicines they consume. In addition, some of the submissions expressed supply and quality concerns. Additional savings to public spending in Member States on pharmaceuticals, potentially of the order of upwards of 4% 35 , could materialise from increased competition between generics and biosimilars manufacturers in EU markets following SPC expiry in the Union. Although the anti-diversion measures proposed will imply some administrative work, the administrative or other implementation costs are limited and should be largely offset by the benefits resulting from the proposal. No other costs (e.g. environmental costs) have been identified. As indicated above, this targeted proposal is not part of a general revision of Regulation (EC) No 469/2009, since a wider pharmaceutical incentives analysis, as requested by the Council, is currently ongoing. By introducing a manufacturing exception for export purposes, the proposal aims at removing the competitive disadvantages that EU-based manufacturers of generics and biosimilars are currently facing. Such measures have been carefully calibrated to minimise costs on firms, and in particular SMEs, through a number of safeguards measures to ensure transparency and possible diversion. In particular, an SME-test has been conducted. The preferred option would be particularly beneficial for EU-based generics and biosimilars SMEs, as it is more difficult for them to set up manufacturing facilities outside the EU. It will create new opportunities for SMEs and start-ups in highly lucrative and fast-growing sectors, in particular as regards biosimilars, which also invest intensively in R&D. At the same time, it takes account of the interests of SMEs active in R&D for ‘original’ products, as it leaves the core rights of SPC protection unaffected. –the freedom to conduct a business (Article 16) for EU-based generics and biosimilars manufacturers. The proposal does not have implications for the Union budget. After the entry into force of the Regulation, the Commission will monitor its implementation with a view to assessing its effectiveness. The Regulation can be considered successful if it promotes investment in manufacturing for export purposes of products covered by the Regulation, and if it facilitates, to some extent, their timely entry onto the Union market after the expiry of the certificate, without harming pharmaceutical R&D in the Union. In this context, the Commission will monitor: (i) the number of EU generic and biosimilar manufacturing sites producing products covered by the Regulation; (ii) the entry of EU manufactured products in export markets for products covered by the Regulation as well as sales dynamics and competition in these markets; (iii) the time of entry after expiry of the certificate in Member States for products covered by Regulation; and (iv) R&D activities in the EU by innovators and by generic and biosimilar companies. Indicators will be developed using available data sources 36 , minimising the need for reporting by biopharmaceutical companies. Additional feedback on the functioning of the Regulation will be collected through surveys. An initial evaluation will take place not later than five years from the entry into force of the Regulation, and implementation will be monitored every five years thereafter. (1)Regulation (EC) No 469/2009 of the European Parliament and of the Council 38 provides that any product protected by a patent in the territory of a Member State and subject, prior to being placed on the market as a medicinal product, to an administrative authorisation procedure as laid down in Directive 2001/83/EC of the European Parliament and of the Council 39 or Directive 2001/82/EC of the European Parliament and of the Council 40 , may be the subject of a supplementary protection certificate under the terms and conditions provided for in Regulation (EC) No 469/2009. (2)By providing for a period of supplementary protection of up to five years, Regulation (EC) No 469/2009 seeks to promote, within the Union, the research and innovation that is necessary to develop medicinal products, and to contribute to preventing the relocation of pharmaceutical research outside the Union to countries that may offer greater protection. (3)Since the adoption in 1992 of the predecessor to Regulation (EC) No 469/2009, markets have evolved significantly and there has been huge growth in the manufacture of generics and especially of biosimilars, in particular in third countries where protection does not exist or has expired. (4)The absence of any exception in Regulation (EC) No 469/2009 to the protection conferred by a supplementary protection certificate has had the unintended consequence of preventing manufacturers of generics and biosimilars established in the Union from manufacturing, even for the exclusive purpose of exporting to third country markets in which such protection does not exist or has expired. A further unintended consequence is that the protection conferred by the certificate makes it more difficult for those manufacturers to enter the Union market immediately after expiry of the certificate, given that they are not in a position to build up production capacity until the protection provided by the certificate has lapsed, by contrast with manufacturers located in third countries where protection does not exist or has expired. (5)This puts manufacturers of generics and biosimilars established in the Union at a significant competitive disadvantage compared with manufacturers based in third countries that offer less or no protection. (6)Without any intervention, the viability of the manufacture of generics and biosimilars in the Union could be under threat, with consequences for the Union’s pharmaceutical industrial base as a whole. (7)The aim of this Regulation is to ensure that manufacturers established in the Union are able to compete effectively in those third country markets where supplementary protection does not exist or has expired. It is intended to complement the efforts of the Union’s trade policy to ensure open markets for Union-based manufacturers of medicinal products. Indirectly, it is also intended to put those manufacturers in a better position to enter the Union market immediately after expiry of the relevant supplementary protection certificate. It would also help to serve the aim of fostering access to medicines in the Union by helping to ensure a swifter entry of generic and biosimilar medicines onto the market after expiry of the relevant certificate. (8)In those specific and limited circumstances, and in order to create a level playing field between Union-based manufacturers and third country manufacturers, it is appropriate to restrict the protection conferred by a supplementary protection certificate so as to allow making for the exclusive purpose of export to third countries and any related acts strictly necessary for making or for the actual export itself. (9)That exception should cover the making of the product, including the product which corresponds to the medicinal product protected by a supplementary protection certificate in the territory of a Member State, for the exclusive purpose of export to third countries, as well as any upstream or downstream acts by the maker or by third parties in a contractual relationship with the maker, where such acts would otherwise require the consent of the certificate-holder, and are strictly necessary for making for the purpose of export or for the actual export itself. For instance, such acts may include the supply and import of active ingredients for the purpose of making the medicinal product to which the product covered by the certificate corresponds, or temporary storage of the product or advertising for the exclusive purpose of export to third country destinations. 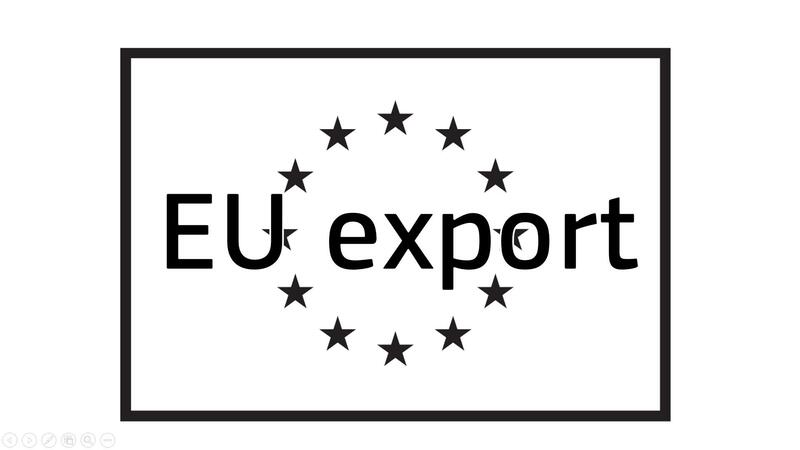 (10)The exception should not cover placing the product made for the exclusive purpose of export on the market in the Member State where a supplementary protection certificate is in force, either directly or indirectly after export, nor should it cover re-importation of the product to the market of a Member State in which a certificate is in force. Moreover, it should not cover any act or activity for the purpose of import of medicinal products, or parts of medicinal products, into the Union merely for the purposes of repackaging and re-exporting. (11)By limiting the scope of the exception to making for the purpose of export outside the Union and acts strictly necessary for such making or for the actual export itself, the exception introduced by this Regulation will not unreasonably conflict with normal exploitation of the product in the Member State where the certificate is in force, nor unreasonably prejudice the legitimate interests of the certificate-holder, taking account of the legitimate interests of third parties. (12)Safeguards should accompany the exception in order to increase transparency, to help the holder of a supplementary protection certificate to enforce its protection in the Union and to reduce the risk of illicit diversion onto the Union market during the term of the certificate. (13)To this end, this Regulation should impose a once-off duty on the person making the product for the exclusive purpose of export, requiring that person to provide certain information to the authority which granted the supplementary protection certificate in the Member State where the making is to take place. The information should be provided before the making is intended to start for the first time in that Member State. The making and related acts, including those performed in Member States other than the one of making in cases where the product is protected by a certificate in those other Member States too, should only fall within the scope of the exception where the maker has sent this notification to the competent industrial property authority (or other designated authority) of the Member State of making. The once-off duty to provide information to the authority should apply in each Member State where making is to take place, both as regards the making in that Member State, and as regards related acts, whether performed in that or another Member State, related to that making. The authority should be required to publish that information, in the interests of transparency and for the purpose of informing the holder of the certificate of the maker’s intention. (14)In addition, this Regulation should impose certain due diligence requirements on the maker as a condition for the exception to operate. The maker should be required to inform persons within its supply chain, through appropriate means, in particular contractual means, that the product is covered by the exception introduced by this Regulation and is intended for the exclusive purpose of export. A maker who failed to comply with these due diligence requirements would not benefit from the exception, nor would any third party performing a related act in the same or a different Member State where a certificate conferring protection for the product was in force, and the holder of the relevant certificate would therefore be entitled to enforce its rights under the certificate. (15)Furthermore, this Regulation should impose labelling requirements on the maker, in order to facilitate, by means of a logo, identification of the product as a product exclusively intended for the purpose of export to third countries. The making and related acts should only fall outside the protection conferred by a supplementary protection certificate if the product is labelled in this manner. This labelling obligation would be without prejudice to labelling requirements of third countries. (16)Any act not covered by the exception introduced by this Regulation will remain within the scope of the protection conferred by a supplementary protection certificate. This includes any product made within the terms of the exception and illicitly diverted onto the Union market during the term of the certificate. (17)This Regulation does not affect the application of Union measures that aim to prevent infringements and facilitate enforcement of intellectual property rights, including Directive 2004/48/EC of the European Parliament and of the Council 41 and Regulation (EU) No 608/2013 of the European Parliament and of the Council 42 . (18)This Regulation does not affect the application of Directives 2001/83/EC and 2001/82/EC, in particular the requirements related to the manufacturing authorisation of medicinal products manufactured for export. This includes compliance with the principles and guidelines of good manufacturing practices for medicinal products and the use of active substances that have been manufactured in accordance with good manufacturing practices for active substances and distributed in accordance with good distribution practices for active substances. (19)In order to ensure that holders of supplementary protection certificates already in force are not deprived of their acquired rights, the exception provided for in this Regulation should only apply to certificates that are granted on or after a specified date after entry into force, irrespective of when the application for the certificate was first lodged. The date specified should allow a reasonable time for applicants and other relevant market players to adjust to the changed legal context and to make appropriate investment and manufacturing location decisions in a timely way. The date should also allow sufficient time for public authorities to put in place appropriate arrangements to receive and publish notifications of the intention to make, and should take due account of pending applications for certificates. (20)The Commission should carry out an evaluation of this Regulation. Pursuant to paragraph 22 of the Interinstitutional Agreement between the European Parliament, the Council of the European Union and the European Commission on Better Law-Making of 13 April 2016 43 , that evaluation should be based on the five criteria of effectiveness, efficiency, relevance, coherence and added value and should provide the basis for impact assessments of possible further measures. The evaluation should take into account exports to outside the Union and the ability of generics and especially biosimilars to enter markets in the Union as soon as possible after a certificate lapses. In particular, this evaluation should review the effectiveness of the exception in the light of the aim to restore a global level playing field for generic and biosimilar firms in the Union and a swifter entry of generic and especially biosimilar medicines onto the market after a certificate lapses. It should also study the impact of the exception on research and production of innovative medicines by holders of certificates in the Union and consider the balance between the different interests at stake, including those of public health. (21)It is necessary and appropriate for the achievement of the basic objective, of providing a level playing field for generic and biosimilar manufacturers with their competitors in third country markets where protection does not exist or has expired, to lay down rules restricting the exclusive right of a supplementary protection certificate holder to make the product in question during the term of the certificate, and also to impose certain information and labelling obligations on makers wishing to take advantage of those rules. This Regulation complies with the principle of proportionality, and does not go beyond what is necessary in order to achieve the objectives pursued, in accordance with Article 5(4) of the Treaty on European Union. 1.Within the limits of the protection conferred by the basic patent, the protection conferred by a certificate shall extend only to the product covered by the authorisation to place the corresponding medicinal product on the market and for any use of the product as a medicinal product that has been authorised before the expiry of the certificate. (d)the maker complies with the requirements of paragraph 4. (f)an indicative list of the intended third country or third countries to which the product is to be exported. (b)that the placing on the market, import or re-import of the product might infringe the certificate referred to in that paragraph where, and as long as, that certificate applies. (4)the Annex to this Regulation is inserted as Annex -I. (2) A Supplementary Protection Certificate (‘SPC’) is a sui generis intellectual property right, available in EU Member States, that extends by up to five years the legal effects of a reference (‘basic’) patent which pertains to a medicine or a plant protection product (e.g. a pesticide) that has been authorised by national or EU regulatory authorities. The relevant EU legislation for SPCs on medicinal products is Regulation (EC) No 469/2009 (a codification of Regulation (EEC) No 1768/92). SPCs are intended to compensate for the ‘loss’ of effective patent protection caused by lengthy compulsory testing and clinical trials required before a medicine is authorised to be placed on the EU market. The Paediatric Regulation (Regulation (EC) No 1901/2006 on medicinal products for paediatric use) provides for SPCs for a medicinal product to be extended by a further six months if the authorised medicine has been part of a ‘paediatric investigation plan’. Regulation (EC) No 1610/96 regulates SPCs for plant protection products, but is not the subject of this proposal. (3) The exemption is defined by Article 10(6) of Directive 2001/83/EC on the Community code relating to medicinal products for human use, which states that ‘Conducting the necessary studies and trials with a view to the application of paragraphs 1, 2, 3 and 4 and the consequential practical requirements shall not be regarded as contrary to patent rights or to supplementary protection certificates for medicinal products’. (4) European Parliament Resolution of 26.5.2016 on the Single Market Strategy – 2015/2354(INI). (5) Regulation (EC) No 469/2009 of the European Parliament and of the Council of 6 May 2009 concerning the supplementary protection certificate for medicinal products (OJ L 152, 16.6.2009, p. 1). (6) SWD(2018)242, Summary of the replies to the public consultation on Supplementary Protection Certificates and patent research exemptions for sectors whose products are subject to regulated market authorisations. (7) On 17.6.2016, the Council, during its health session, adopted conclusions on ‘strengthening the balance in the pharmaceutical systems in the EU’, in which it asked the Commission to conduct an evidence-based analysis of the impact of the EU’s pharmaceutical incentives – including the SPC and the ‘Bolar’ exemption – on innovation and access to medicines (Council document 10315/16). This analysis is currently ongoing. (8) See M. Mejer, ‘25 years of SPC protection for medicinal products in Europe: Insights and challenges’ (May 2017); and M. Kyle, A study on the economic aspects of the SPC: ‘Economic Analysis of Supplementary Protection Certificates in Europe’ (2017). (9) SWD(2018)240, impact assessment accompanying this document, see section 6.3.1 and Annex 7. (10) The EU was a pioneer in the development of regulatory procedures to approve biosimilars. The European Medicines Agency (EMA) authorised the first biosimilar in 2006: the US Food and Drug Administration (FDA) did so only in 2015. Developing a biosimilar often requires investments in innovation of upwards of EUR 250 million. (11) Whether they have their headquarters in the Union or in a non-EU country, and including generics/biosimilars subsidiaries of innovative pharmaceutical companies. (12) At least if they are based in a country having no SPC protection (e.g. China, India, Brazil and Russia), or having SPC with a manufacturing waiver for export purposes (e.g. Canada), or countries such with shorter SPC protection than in the EU (e.g. Israel). (13) For biosimilars, which are R&D-intensive, research tends to be located where manufacturing takes place: relocation of manufacturing is therefore likely to lead to R&D being relocated as well. It is estimated that the minimum cost of relocating the production of a single biological product is EUR 10 million and takes a minimum of 1.5 to 2 years. Supporting investments in R&D and manufacturing in a pharmaceutical area would have positive effects on the whole pharmaceutical sector in the EU. The Asia-Pacific region has more biosimilars in development (led by China (269) and India (257)) than anywhere else in the world (the USA has 187 under development). In 2012, South Korea invested 35% of its national medical R&D budget in biosimilars development (see Deloitte’s Winning with biosimilars-Opportunities in global markets (2015)). Canada, while agreeing to introduce SPC protection as a result of the Comprehensive Economic Trade Agreement (CETA) negotiations, nevertheless insisted on including an SPC manufacturing waiver (and other limitations) in the agreement, so as to allow its own businesses to reap the benefits of the new generics and biosimilar markets. (14) SWD(2018)240, impact assessment, sections 6 to 8. (15) In this respect, see also the Commission’s IP Package of 29.11.2017, which contained a holistic set of measures to step up the fight against IPR infringements in the Union. This package was endorsed by the Council on 12.3.2018. (16) Directive 2001/83/EC of the European Parliament and of the Council of 6 November 2001 on the Community code relating to medicinal products for human use (OJ L 311, 28.11.2001, p.67). (17) Directive 2001/82/EC of the European Parliament and of the Council of 6 November 2001 on the Community code relating to veterinary medicinal products (OJ L 311, 28.11.2001, p.1). (18) Directive 2004/48/EC of the European Parliament and of the Council of 29 April 2004 on the enforcement of intellectual property rights (OJ L157, 30.4.2004, p. 45). (19) Regulation (EU) No 608/2013 of the European Parliament and of the Council of 12 June 2013 concerning customs enforcement of intellectual property rights (OJ L 181, 29.6.2013, p. 15). (20) See SME test in Annex 16 of the impact assessment. (22) Commission Decisions in Case 39226 Lundbeck of 19.6.2013, in Case 39685 Fentanyl of 10.12.2013 and in Case 39612 Perindopril (Servier) of 9.7.2014. (23) Any such change would however need to be in line with its international obligations, notably the TRIPS Agreement. (24) With a view to the need not to burden SMEs. (25) Assessing the economic impacts of changing exemption provisions during patent and SPC protection in Europe, by Charles River Associates, pub. 5.10.2017; Economic Analysis of Supplementary Protection Certificates in Europe, by Professor Kyle, pub. 12.10.2017; Study on the legal aspects of the SPCs in the EU, by Max Planck Institute; and Study on the economic impact of supplementary protection certificates, pharmaceutical incentives and rewards in Europe, by Copenhagen Economics. The final two studies are being published in parallel with this proposal. (26) https://ec.europa.eu/docsroom/documents/26001/attachments/1/translations/en/renditions/native , ‘25 years of SPC protection for medicinal products in Europe: Insights and challenges’. (27) Council conclusions of 17.6.2016, referred to above. (30) SWD(2018)242, Summary of the replies to the public consultation. (31) SEC(2018)246,Regulatory Scrutiny Board Opinion on the Proposal for a Regulation of the European Parliament and of the Council amending Regulation (EC) No 469/2009 concerning the supplementary protection certificate for medicinal products, delivered on 9.3.2018, accompanying this document. See Annex 1 of the impact assessment for an explanation of how the considerations of the Board were incorporated. (32) Generic gains in export markets for generic manufacturers are estimated to range between EUR 7.6 bn (CRA study, 2017) and EUR 1.3bn (OHE study, 2018). The potential losses for SPC holders are estimated to range between EUR 139m (CRA) and EUR 573m (OHE). See section 7 and Annex 12 of the impact assessment for more details. (33) SME Test in Annex 16 of the impact assessment. (35) Charles River Associates study, p. 15. (36) The available data sources include, but are not limited to, Eurostat, OECD, data provided on EMA website, Eudra GMP, databases providing information on health markets and company level databases. (37) OJ C , , p. .
(38) Regulation (EC) No 469/2009 of the European Parliament and of the Council of 6 May 2009 concerning the supplementary protection certificate for medicinal products (OJ L 152, 16.6.2009, p. 1). (39) Directive 2001/83/EC of the European Parliament and of the Council of 6 November 2001 on the Community code relating to medicinal products for human use (OJ L 311, 28.11.2001, p.67). (40) Directive 2001/82/EC of the European Parliament and of the Council of 6 November 2001 on the Community code relating to veterinary medicinal products (OJ L 311, 28.11.2001, p. 1). (41) Directive 2004/48/EC of the European Parliament and of the Council of 29 April 2004 on the enforcement of intellectual property rights (OJ L157, 30.4.2004, p. 45). (42) Regulation (EU) No 608/2013 of the European Parliament and of the Council of 12 June 2013 concerning customs enforcement of intellectual property rights (OJ L 181, 29.6.2013, p. 15). (43) OJ L 123, 12.5.2016, p. 1.